Solo dental practitioner or group dental practices. We also can help multi-location groups. 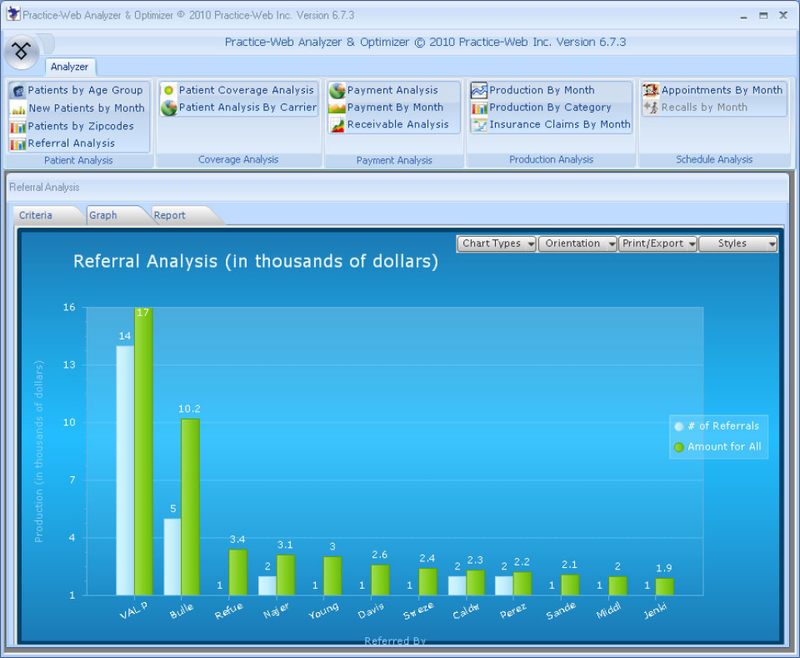 Practice-Web provides total paperless solution based on Microsoft.NET (part of Windows 7 and 8). It integrates with all major radiography systems; interfaces insurance databases with online patient eligibility check & benefits update. 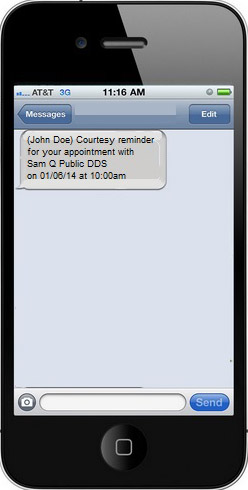 It includes automated reminders, web-based patient registration, patient kiosk, dental supply inventory module, customizable prescription, lab slips, referral slips, multi-page scanning, text messaging to patients, customizable consent forms with signature support. Practice-Web Dental Reviews Recently Reviewed! Pros: I have been able to make it make it mold to my practice style. Support has been great. It allows me to locate the needed information easily. With some thought, I have it set up so that hopefully, we will not over look important information. Cons: There are things I would change but that's just because I want the software to behave exactly the way I want it to. That's not going to happen with any software, but Practice Web has listened to my ideas and the ones they consider universal enough, they have accommodated. Overall: It allowed me to integrate my accounting and patient chart into a seamless unit. Pros: Ease of use. Great graphics. Very few clicks to complete a task. Cons: The name. People confuse it with Practice-Works. Overall: I've been using Practice Web for many years. Prior to purchasing it, I looked at several Dental Practice Management software options. Some high-powered and costly with brand-name recognition. I just couldn't justify the cost and upgrade/add-on/warranty/support costs for my needs. And frankly, I liked the flow of PW better than some of these other programs. Bigger doesn't mean better. Practice-Web just works. You and staff can learn it in a day. Best decision I've made. Recommendations to other buyers: Their technology partners are top notch also. Pros: The software is easy to use and the help when something does not work properly is fast. Overall: Practice-web has been a great program to us for the last 8 years, we look forward to seeing what it will it do in the future. Pros: It's easy to do billing and treatment plan. You could also customize your own sheets the way you want . Coming from Eaglesoft and not know how to bill and treatment plan this software was very easy. Eaglesoft I was pulling my hair. Pros: Loved the software and support! Support staff was consistently positive and patient. They helped train my new staff members and the program is logical and easy to use. Cons: On occasion, it would takes PW's support staff a day or so to get back to us when they were very busy . But this was rare. 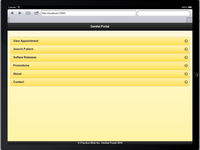 Pros: A very versatile program with ample room for customization and an incredibly helpful support staff. Cons: The graphic design and user interface could be a little more polished and appealing. Overall: Our office was unsure about which electronic patient management software to get after a bad experience with our previous program and Practice Web was recommended to us. Learning the in and outs of the program only took a few days but we do not regret out decision to switch! Pros: Ease of use , open ended so very convenient , can customize it to our liking , great customer support. Cons: Cannot say it's a con but upgrades are done frequently so have to keep up with it . Pros: I computerized my dental office back in 1981 (there was very little software available and I was a very early user of computer technology in the Dental field, the IBM PC-XT came to me in parts which I put together). Over these many years, I have updated the software and hardware. 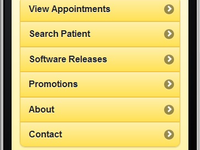 Currently, there are many different brands of Dental Practice Management software available. 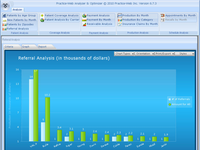 I have found Practice-Web to be the most comprehensive software available at any price. But the bonus is Practice-Web is available at a VERY reasonable price! Their conversion of data from my former practice management software allowed me to be up-and-running immediately. The software is extremely intuitive but if needed, their support is second to none. They listen to user ideas and often incorporate them into subsequent releases. There improvement come often and are state-of-the-art. Cons: There is absolutely nothing I would change about this software program. Overall: This is a great software product. Any dentist who is seriously considering improving the work-flow of their office should evaluate Practice-Web. This program is the cornerstone of the modern "chartless" dental office and allows me to be "green, eco-friendly" by using significantly less paper. Overall: There are bundles of benefit . I could use on 70% because of me not having enough time to explore the entire software. Pros: It's a complete package including bridge links for imaging software. 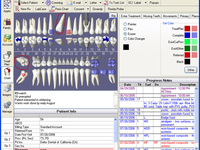 Overall: I have been using Practice Web for a few years now, I started with Easy Dental when was I believe DOS, through the years we were looking for more features like Rx,Graphics etc most of the features were a add on to the original program with additional cost . My original concern was to find a program capable of giving up a chart that would show the patient their actual status with proposed treatment. Before finding Practice Web i did test several programs and some of them very good and expensive but none was as complete as Practice web. The program has so many features that could benefit our practice that once you tried either you keep it or you will switch from whatever you are using as practice management software to Practice Web. Overall i believed this is the best Program in the market and the support is SUPER. You can still have a great meal without spending your savings. Recommendations to other buyers: Just give a try you will love it an wonder where was this program when you decided to use another one. Comments: WE HAVE BEEN USING PRACTICE WEB DENTALK MANAGEMENT SOFTWARE SINCE LAST 9 YEARS. 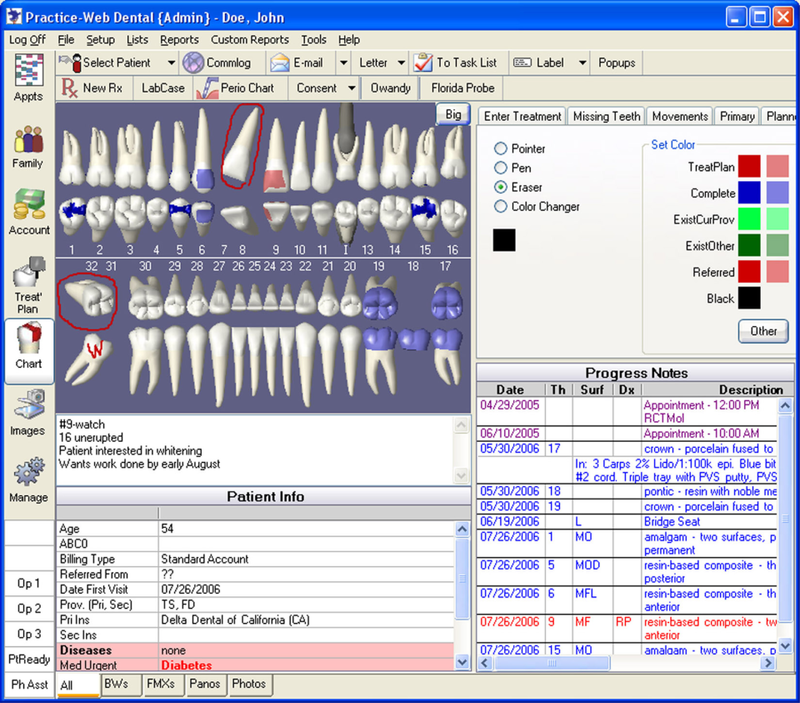 THIS IS MY FIRST AND LAST DENTAL SOFTWARE PACKAGE IS SO COMPLETE AND USER FRIENDLY. WHAT CAN I SAY ABOUT CUSTOMER SERVICE OUTSTANDING MR. SMAIR PRESIDENT OF COMPANY. ALWAYS THERE WHEN WE NEED SERVICE. WOW MR. NIRAV SHAH SOFTWARE SPECIALIST IN SO CAL IS OUTSTANDING SERVICE. IF I COULD GIVE HIME 6 STARS OUT OF 5 I WOULD. IN PAST WE HAVE USED DIFFERENT SOFTWARE PACKAGE BUT NOTHING EVEN COME CLOSE TO PRACTICE WEB. 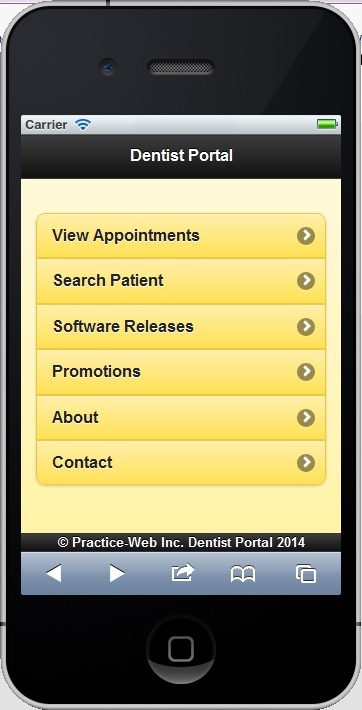 WE ARE IN DENTAL PRACTICE SINCE LAST 26 YEARS , I WILL NEVER USE ANY SOFTWARE PACKAGE BUT PRACTICE WEB. PRACTICE WEB WAY TO GO !!!! THANKS TO MR. KOTHARI AND MR. SHAH TEAM MEMBERS. AFTER USING THIS SOFTWARW I WILL NEVER GO TO ANY OTHER COMPANY. Pros: Software is so user friendly even us old folks can use it. The staff is not only knowledgeable about Practice Web software they know all about computers period. E-mails arrive weekly telling you about new fetures and upgrades. What's really cool is their remote support they come right into my computers and show me excatly what to do. Overall: I looked at alot of software programs before chooseing Practice Web. Not only are they the best one I found they had the most resonable price of all. Comments: Practice-Web has been an answer to all our aches and pains with our previous practice management. It is so easy to use, quick, and intuitive to navigate. Their support staff has been awesome and very helpful. They always have the right answers to our questions right away. I thought migrating from MediaDent (previous practice management) would be hard, but it was quick and easy. There are things we will need to update but that is nothing compared to how it helped us function more efficiently. Transitioning to paperless would save us a lot of time and money and I could see that now happening with Practice-Web on our side. Comments: I have been using Practice-Web software since 2004. It has made my office more productive and improved the cash flow. Practice-Web has powerful yet easy-to-use features not found in more expensive software. Their tech support is impressive. I am amazed at the peripheral products they provide at a fraction of their comptetitors' charges. 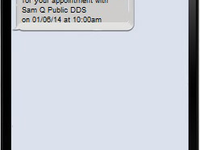 I highly recommend Practice-Web to any dental office looking to go paperless at a reasonable cost. Practice Web is the best! Comments: Our large group practice have been clients of PW for over 10 years. They consistently offer excellent customer service. The software meets most of our needs and is not overly complicated to use. New staff quickly can learn how to navigate through the program. They are constantly adding new features to keep up with industry standards. But the best part is the cost!!! Pros: love the system. easiest of all practice management programs i have used or seen. Cons: i have found very few items to complain about. some functions can be difficult to learn but effectiv when mastered.